DGL-4500 caps at 180Mbps when using Ethernet? 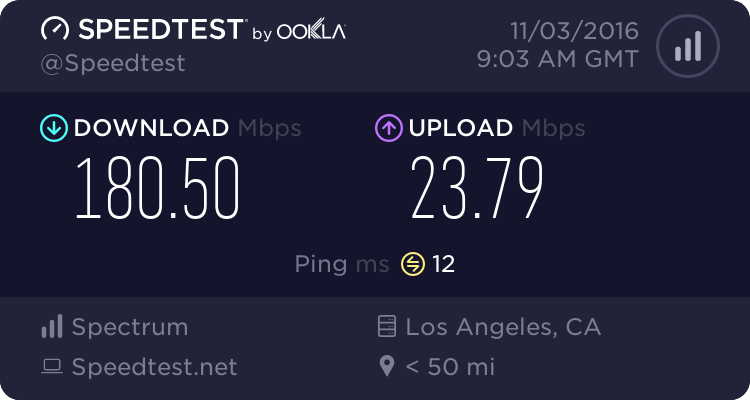 I am able to get 380Mbps down when I connect my PC directly to my cable modem but when using the DGL-4500 I can only get 180Mbps with ethernet on the same speed tests. I'd appreciate if anyone can point me in the right direction because I just can't figure it out. I am using all CAT6 cables and I've tried switching the cable that connects from the cable modem to the DGL-4500 with another CAT6 with the same result. I've tried all the LAN ports on the DGL-4500. Re: DGL-4500 caps at 180Mbps when using Ethernet? Turn off DNS Relay under Setup/Networking. Enable or Disable SPI to test. I haven't put my 4500 online since I was upgraded to 100/3 last year. I should test it out I guess. It's unfortunate that this era routers have a UPLINK soft cap on the speed when QoS/GameFuel is enabled. If the above suggestions fail, Another possibility may that these era routers maybe limited on the WAN port speed since when these routers first came out, there wasn't much if anyone using ISP speeds past 100Mb back then. This and other model routers are getting to be upwards of 10 years old now. I'll get mine out and see what I find tonite. Thanks for getting back to me Furry. I tried as you suggested but it made no difference. I am beginning to think it simply is the fact that it's too old and the hardware can't process the faster speeds of today. I appreciate you taking the time to test your DGL-4500. Ya I think so. It's still a great router. I'll see what I find with mine. My ISP speeds maybe on the boarder though. However I don't have 300Mb ISP services so for what I have, it's working on 100/3. I think I'm going to leave the 4500 online and see how it does with my two XB1s. Thanks for testing Furry. RYAT, you made a good point, I actually had my DLG-4500 near the cable modem. Unfortunately, it made no difference when I moved both devices far from any other device. What I don't understand is the DLG-4500 is has gigabit LAN and WAN ports... is the CPU not able to handle anything above 180Mbps? Has anyone found the DLG-4500 to download at over 200Mbps via ethernet? Thanks for your help guys, I think I'll have to start looking for another router with black friday around the corner. 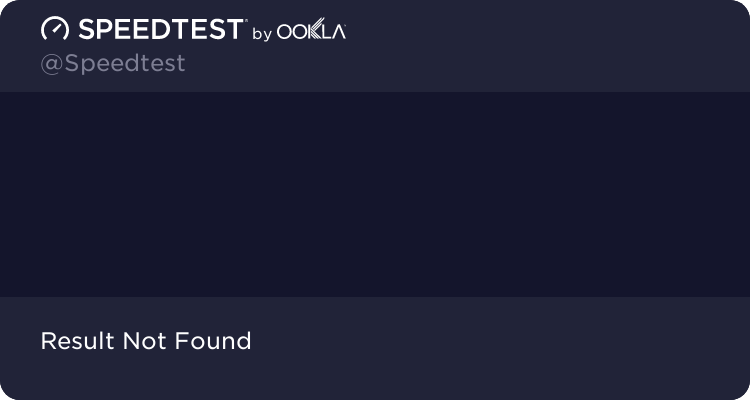 Do you think there is any point in calling my ISP for help? My 4500 is near my 6180 as of last night when I put it online. I was going to take it off line however seeing the GF isn't capping my 3Mb Uplink and seems to be working well, it's not my main host router. I'm going to play around with this weekend. The only thing I did was disabled DNS Relay, SPI, Wireless, Advanced DNS Services and I can't remember if I disabled Use Unicasting or not. I'll recheck. After making those initial speeds tests, I enabled GF. I forgot to disable Dynamic Fragmentation as it's not needed over ISP speeds 1-2Mb so I'll check that again this evening. I was kind of in a rush last nite as dinner was approaching so I couldn't take my time like I wanted to. I set up two rules, 1 for XboxLive and one for ALLOther Devices. 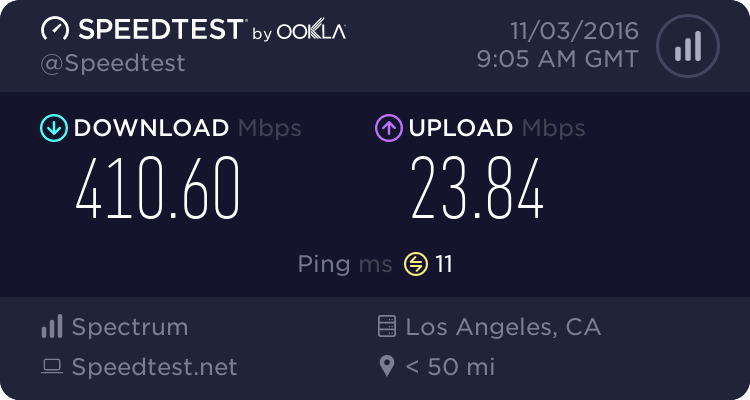 I tested with my Mac Book Pro in the ALL Other devices and saw a small drop in speeds however not sure if there was other traffic at the testing site or what. I need to check on this more, however the rule is set for 128 which is normal mode so a small drop in speed should be expected. 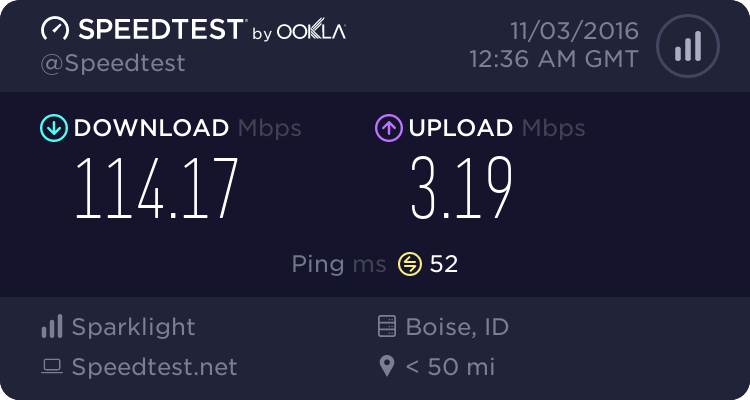 I checked speeds on XB1 and it was near to ISP spec. We played Halo 5 campaign flawlessly last nite. Will be doing some CoD MWR this weekend since it's releasing Friday. That should show us how well the 4500 does. We'll see. No point in calling ISP for help, they'll just tell you to test with out the router, which you have and it shows there's a problem with the 4500. I presume it's a speed limitation of the 4500 and your ISP speed seems to exceed being at 400Mb. Must be nice. Know any friends, neighbors or family members with lower ISP speeds? You might test it out there. We know from what my 4500 does on 100/3 works so there's a base line. Next step would be 200Mb. Also there could be some incompatibility with the ISP modem as well. Thought doubtful. I think mines an A2 however I'll look again as I do have both A1 and A2 models. If you get another router, you could set up the 4500 as a wired AP then connect a wired PC to the back of the 4500 and test speeds again. This may show differences between router mode and AP mode and the speed limitation on the WAN side. Check out a DIR-880L or 890L routers as a suggestion. These have the new UI look and feel. The last released router with the older UI is the DIR-866L. Also, does your cable modem show the same number of channels bonded with and without the router? Is the (I forget what is called) within transmission signal? Lower than 45 in both cases? 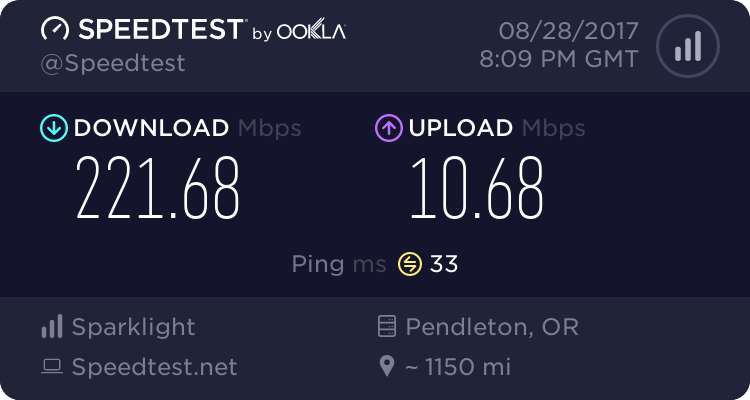 I can't find any evidence of anyone reaching anything above 200Mbps with this and I think it's because it's not possible. As suggested I think it is time to get a new router, I can definitely use faster wireless at least since this doesn't have AC. I will have to checkout the routers you mentioned. RYAT, I did check the Downstream Bonded Channels for both cases and they are exactly the same. And the SNR if that was what you were referring to were all between 40-42 dB for both cases as well. Ok, modem definitely is doing the same with or without router. let us know how the new router works. A router wont effect modem bonding. It shouldn't at least. I'll be checking on my 4500 this weekend with Modern Warefare Remastered. I'm hoping for some good stuff. I presume that the 4500 is limited to ISP speeds around 200Mb seems like. Kind of a shame. Was one of D-Links best routers. The speed should be 100/3 however I think the servers that DSLreports is using isn't near me and not sure why my specified server in OR isn't being used. I get a C for BB. The above results here using IE11. Hmmm. Guess IE11 could be inaccurate for DSLreports now. Using a Motorola MB7420 modem.